View basket “Ivory Cream Oriental Pagoda Umbrella” has been added to your basket. 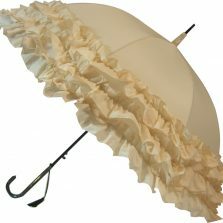 The Fulton Kensington “Star and Bow” Umbrella is a very distinctive star shaped umbrella in Cream with a high performance polyester fabric and a canopy span of approx. 100 cm. 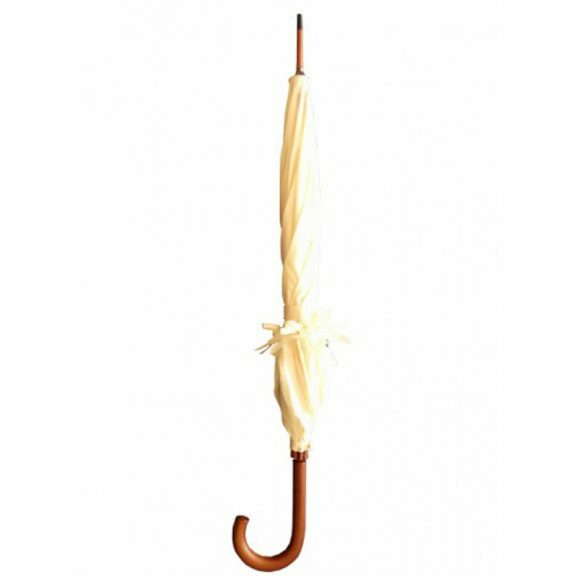 This iconic star shaped umbrella has a strong fibreglass frame, a manual opening mechanism, a smart curved wooden handle and matching wooden shaft. 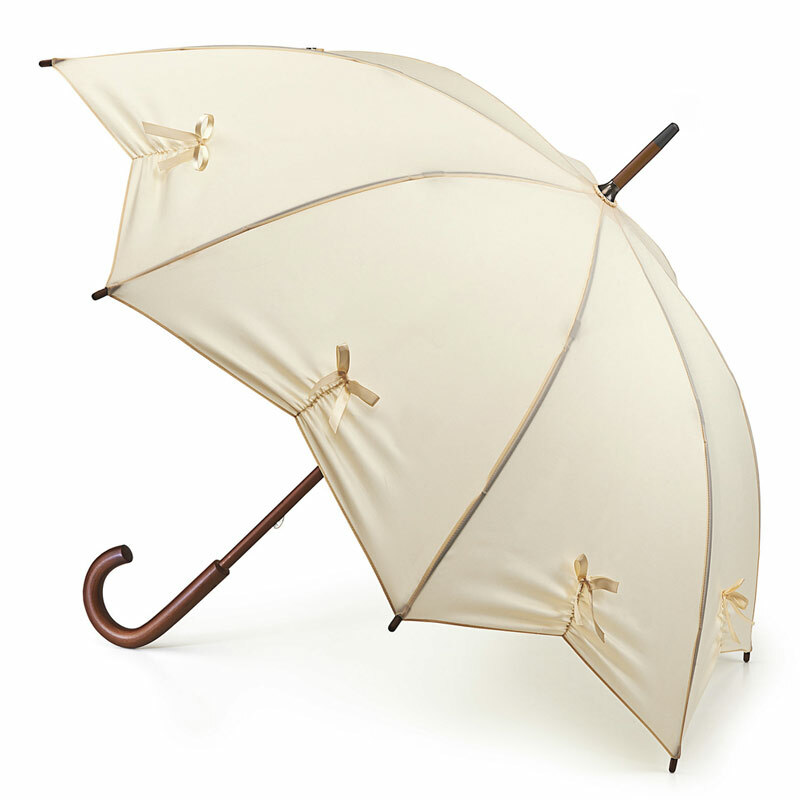 With elegant bows on each panel, this is a truly stylish ladies walking parasol. 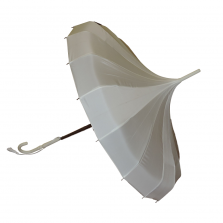 Although these star umbrellas can be used for any occasion they do make for a particularly attractive wedding parasol. So if you’re looking for star shaped umbrellas, the Fulton Kensington is perfect for you! Not what you’re looking for? 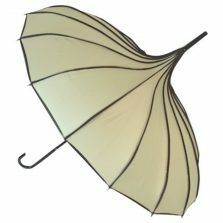 Check out the rest of our fashion umbrellas! 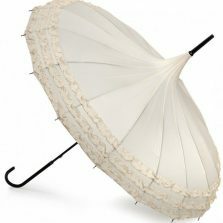 Bought this as a gift for my daughter, she wanted an umbrella she could use for the rain and as a parasol for the sun. It arrived in timely fashion and is well made and sturdy and she was and is delighted with it.